Brisbane, June 2 (2014), Alochonaa: Citizens expect news media to deliver, as much as possible, unbiased news and reporting from around the world, most especially in today’s “Era of Terror.” However this is rarely done, with media reporting often riddled with bias and errors. This raises the question – are these biases and errors simply mistakes in the media, or part of a wider systemic problem? By applying the Herman/Chomsky “Propaganda Model” of media analysis, I will put forward the argument that the media reports terrorism in a way that further the interests of government elites, which are often times detrimental to both the domestic society at large as well as societies in other countries. The “Propaganda Model” of media analysis, first presented in 1988 by Edward Herman and Noam Chomsky, puts forward the argument that the media “are effective and powerful ideological institutions that carry out a system-supportive propaganda function by reliance on market forces, internalized assumptions, and self-censorship, and without overt coercion.” The authors claim that five filters affect the media. These are: a) ownership of the media, b) funding sources of the media, c) sourcing of information for the media, d) flak (referring to “negative responses to a media statement or [TV or radio] program. It may take the form of letters, telegrams, phone calls, petitions, law-suits, speeches and Bills before Congress, and other modes of complaint, threat and punitive action,” usually encouraged by business organisations), and e) fear ideology such as anti-communism and the “War on Terror.” All of these filters work in concert “to propagandise […] the powerful societal interests that control and finance them,” namely the interests of the government and corporate elite. A) The media portrays terrorism as only being committed by enemy groups. 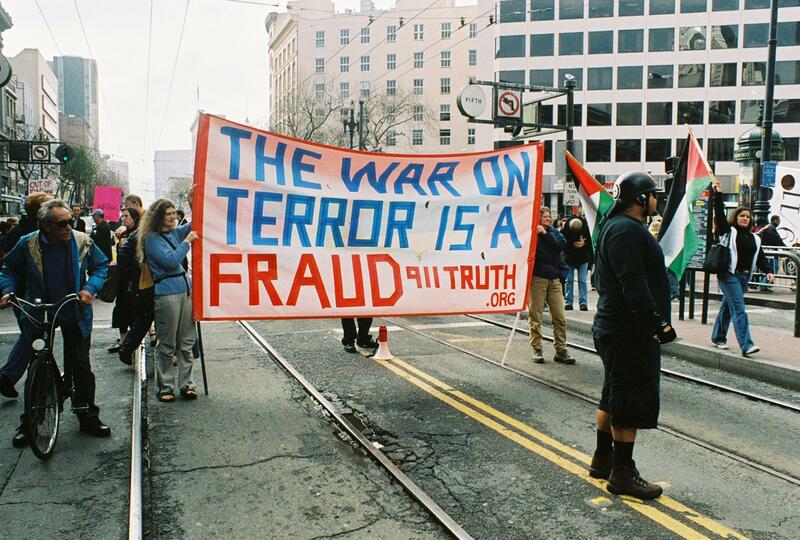 Terrorist acts committed by the United States and its allies are not considered to be “real terrorism” and claims of terrorist acts are summarily dismissed by the media. This in turn obfuscates and allows the United States and its allies to conduct terrorism without suffering from negative press reactions. I will give the case studies of Israel actions in the Gaza Strip in 2009 and the actions of the United States in Nicaragua during the 1980s; where in both instances the media downplayed and outright dismissed credible claims of terrorism levied out by the United Nations. B) The way the media reports on terrorism often helps to distort and obfuscate the real reasons of state action. Here I will give the case study of the Iraq War and look at how the media erroneously linked the terror attacks on 9-11 to Iraq, and in the process created an atmosphere conducive to war, a war entered into by the United States for reasons separate to terrorism. Point A – Terrorism is committed by them, not us. An act of terrorism only enters the canon only if it is committed by “their side”, [ie an enemy] not ours [either the US or its allies]. That was the guiding doctrine of the public relations campaign about “international terrorism” launched by the Regan Administration as it came to office. […] Since only acts committed by “their side” counts as terrorism, it follows that the thesis is necessarily correct, whatever the facts. He then gives the example of Israel and how the policies of the Israeli government are not reported as terrorist by government officials and the mainstream media. – or sends its troops into Lebanese villages in “counterterrorism” operations where they murder or destroy, or hijack ships and dispatches hundreds of hostages to prison camps under horrifying conditions, this is not “terrorism”; in fact the rare voices of protest are thunderously condemned by loyal party liners for their “anti-Semitism” and “double standard,” demonstrated by their failure to join the chorus of praise for “a country that cares for human life” (Washington Post) whose “higher moral purpose” (Time) is the object of never ending awe and acclaim, a country which, according to its admirers, “is held to a higher law, as interpreted for it by its journalists” (Walter Goodman). An analysis of how the media reported on the Goldstone Report is particularly revealing. 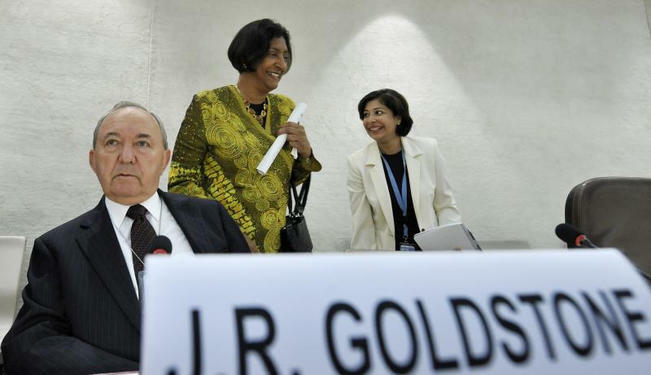 In April 2009 the United Nations Human Rights Council (UNHRC) established a United Nations Fact Finding Mission on the Gaza Conflict headed by South African jurist Richard Goldstone. This body was tasked to investigate alleged violations of international humanitarian law during the Gaza War of January 2009. 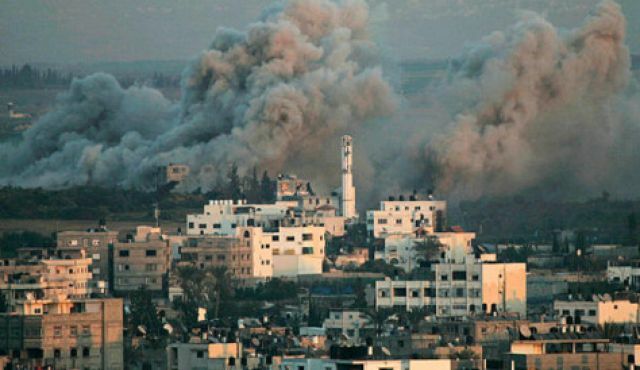 The report, colloquially known as the “Goldstone Report”, released on 25 September 2009, in part accused Israel of “punish[ing], humiliat[ing] and terroris[ing] a civilian population.” Finding 1893 of the report concludes that what occurred in just over three weeks at the end of 2008 and the beginning of 2009 was a deliberately disproportionate attack [by Israel] designed to punish, humiliate and terrorize a civilian population [the Palestinians], radically diminish its local economic capacity both to work and to provide for itself, and to force upon it an ever increasing sense of dependency and vulnerability. As expected, both Israel and the United States immediately denounced the report. Media reactions were also similarly dismissive. The Economist called the report “deeply flawed,” The Washington Post declared that the “Goldstone commission proceeded to make a mockery of impartiality with its judgment of facts,” The Times dismissed the “provocative bias” of the report, The Wall Street Journal claimed that the report “marks a new low” for the UNHCR. The negative barrage from both governments and media outlets eventually lead Goldstone on 1 April 2011 to personally repudiate himself from the report. Fourteen days later the other co-authors of the report, Hina Jilani, Christine Chinkin and Desmond Travers, released a joint statement criticising Goldstone’s repudiation and insisting that the report is accurate. Norman Finkelstein argues that “Goldstone did not change his mind because the facts compelled him to reconsider his original findings” but rather forces such as government elites and the media “hounded [and] finally got to him,” more or less forcing him to repudiate the report. Another case study that illustrates this point is how the media reported in regards to Nicaragua, in particular the decision by the International Court of Justice (ICJ) in 1986 which branded the actions of the United States government as terroristic. A brief overview of the background facts is worth mentioning. In 1979 the Sandinistas came to power after a popular revolution which ousted the former dictator Anastasio Somoza Debayle. The United States accused the Sandinistas of having communist links with the USSR and thus tried to overthrow the government and install a friendlier government towards the United States. 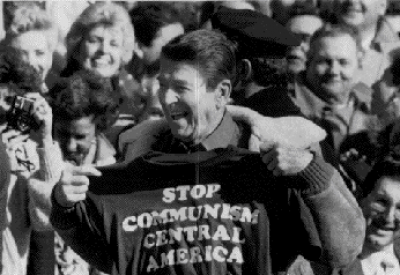 The United States did this by funding the Contras, a rebel group that, according to Amnesty International and Human Rights Watch, committed mass atrocities and terrorist acts against the Nicaraguan people. Nicaragua took the matter to the ICJ and in 1986 the Court in The Republic of Nicaragua v The United States of America held that, among other things, the United States aided and abetted terror acts in Nicaragua. It is also worthy of note that, to date, the United States is the only country that has been condemned for funding terrorism by the ICJ. The decision [by the ICJ] was reported but dismissed as a minor annoyance. Its contents were suppressed or falsified, the World Court – not the United States – was portrayed the criminal, and the rule of law was held inapplicable to the United States. […] The World Court was condemned as a “hostile forum” by the editors of the New York Times, and therefore irrelevant, like the UN. […] Others condemned the court because of its “close ties to the Soviet Union” (Robert Leiken, Washington Post), a claim not worthy of refutation. It is also worth discussing not just what the media did, but what the media did not do. In both cases the media did not engage in a substantial discussion or analysis of the claims found in either the Goldstone report or the ICJ judgement, but summarily dismissed both using strong language such as “fundamentally flawed,” “a mockery of impartiality” (Reactions to the Goldstone Report), “a hostile forum,” with “close ties to the Soviet Union” (reactions to the ICJ judgement). This summary dismissal of the claims without going into any meaningful analysis in turn obfuscated and deflected criticism from the United States and its allies, and as a result aided these governments. In short, the media acted in the interests of government elites, as predicted by the Propaganda Model. The terrible and catastrophic terrorist attack on 9-11 directly lead to the terrible and catastrophic Iraq War. According to Danny Cooper, 9-11 was one of the factors that enabled the United States to conduct the Iraq as it by created an atmosphere of fear in the population which enabled the war to be launched in the first place. While the case study of the Iraq War can be analysed though many different perspectives, for the purposes of this essay I will narrow my focus to how the media attempted to drum up support in the American public for the Iraq War by erroneously linking the terrorist attacks on 9-11 to the Saddam Hussein regime. For Chomsky, the Iraq War was the continuation of a long policy goal of the United States to control world oil supplies. “It’s not discussed much, but it’s very important to have control, exactly as [US Government] State Department advisers pointed out in the 1940s. If you can control the oil, you can control most of the world. And that goes on [today with the Iraq War].” Of course, publicly declaring this goal before invading Iraq would not have helped to give the war any legitimacy. The media then helped to obfuscate the real interest of going into Iraq by reporting on the 9-11 attacks, Al-Qaeda and Iraq/ Saddam Hussein in a way that was conductive to war, namely by erroneously linking them together. The extent to which the media collaborated with the Bush administration in the run-up to the Iraq War in 2003, in the face of massive street protests on the part of ordinary citizens, was a media regression from the Vietnam War experience. The New Your Times and Washington Post both semi-apologised for their failures of 2002-03, but they have hardly finished these when they were doing the same in preparing the public for a possible war against Iran. people do not develop misconceptions in a vacuum. The [Bush] administration disseminates information directly and by implication. The press transmits this information and, at least in theory, provides critical analysis. One’s source of news or how closely one pays attention to the news may influence whether or how misperceptions may develop. that it appears that […] President [Bush] has the capacity to lead members of the public to assume false beliefs in support of his position [to go to war]. […] Among those who did not hold the key false beliefs [such as the link between Iraq and Al-Qaeda], only a small minority supported the decision to go to war[…] The media cannot necessarily be counted on to plat the critical role of doggedly challenging the administration. Unlike the first point, where the media failed to engage in any critical analysis and summarily dismissed the accusations of terrorism committed by the United States and its allies, here the media went into overdrive, relentlessly pushing the erroneous link between the terror attacks on 9-11 and Iraq, and in the process obfuscating the real reason for going into Iraq and creating an atmosphere of fear and tension in the American population that was conducive to war. The way the media reported on the 9-11 terror attacks directly aided elite government interests, as consistent with the Propaganda Model’s prediction of media coverage. The Propaganda Model, as developed by Edward Herman and Noam Chomsky, suggests that the media, through various filters, presents a distorted view of the facts that serves the interests of government and corporate elites. Specifically regarding media coverage of terrorism, I have argued two main points. Firstly, the media downplays and dismisses accusations of terrorism conducted by the United States and its allies, and secondly, the media reports on terrorism committed by enemies in way that further enhances elite governmental interests. These two points display a rather sobering view of the media. In both instances, media reporting was skewed to serve the interests of government elites, at the determent to broader domestic society as well as the societies in other nations. For the health of all societies, it is vital then that the media becomes much more democratic and not beholden to elite interests. Until that happens though, it is most unfortunate that the Propaganda Model of media analysis will ring true a lot of the time.